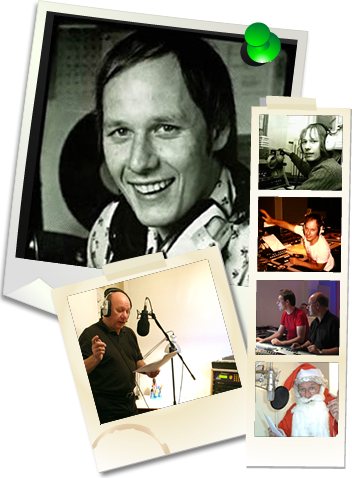 Steve began his career in radio career in early 1973 when he joined Radio Caroline. Later that year he became studio manager for Radio Mi Amigo – recording the station’s first jingles at the studios attached to the now famous “Suzy Waffles” factory. In 1974 Steve joined Radio Atlantis and became programme director. Radio Atlantis, based on the MV Jeanine off the Belgium coast, was a well loved station which tried to capture the atmosphere of the 60’s pirates with a Top 40 format and a great sense of humour. Steve then joined one of the first ILR stations, Piccadilly Radio in Manchester – run by Big L’s former boss Philip Birch – in late 1974 where he became Head of Commercial Production. In 1997 after serious disagreements with his partner, Steve closed Alfasound and set up as Steve England Studios continuing to produce jingle packages and ancillary production for stations in the UK and around the world. Steve merged his company with S2blue at the end of 2001, Steve still represents JAM and PAMS productions of Dallas in the UK and Eire, as well as working as part of the S2blue family.